Now, my colleague and friend in Belgium has been telling me for some years that chocolate is good for me and I should eat more. I interpreted this as an attempt on his part to boost the Belgian export market in these times of austerity. He also is of the view that I write better after a glass of red wine, and gain a health benefit. So today he has informed me the more coffee I drink the better, and referred me to a study in the esteemed New England Journal of Medicine published on May 17th ( N Engl J Med 2012;366:1891-904.0). So it seems I can drink red wine (in moderation), eat dark chocolate AND have an expresso. The study by Freedman and colleagues looked at 229,119 men and 173,141 women – so these are serious numbers. They found an inverse relationship between coffee drinking and both total and case specific mortality. Furthermore the impact was greater the more coffee the subjects drank – up to 6 cups a day. In terms of case specific mortality this included heart disease and stroke – but not cancer. There was no association between coffee drinking and cancer in women – and a possible association with men. 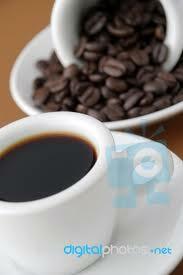 Having said that there were some interesting characteristics of coffee drinker compared to non coffee drinkers. Coffee drinkers were more likely to drink alcohol more than three times a day, smoke and have a bad diet – and were generally less well educated or engage in physical activity. All a bit strange – but the numbers are certainly convincing. So – I guess this paper gives reassurance to those of us who find full functionality in the morning prior to the habitual expresso rather testing. In my highly selected review of the literature (one paper) I am happy to believe this research because I like the outcome………. This entry was posted in Diagnosis, Diagnosis and treatment, New research, News and tagged coffee. Bookmark the permalink.